I chose to breadtfeed my second son. 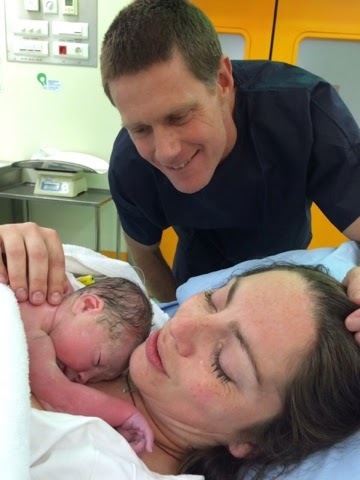 It was a natural decision for me, after a stressful pregnancy but a (relatively) easy and quick birth. He was placed in my arms and I held him close. A little later he latched on and fed for the first time. 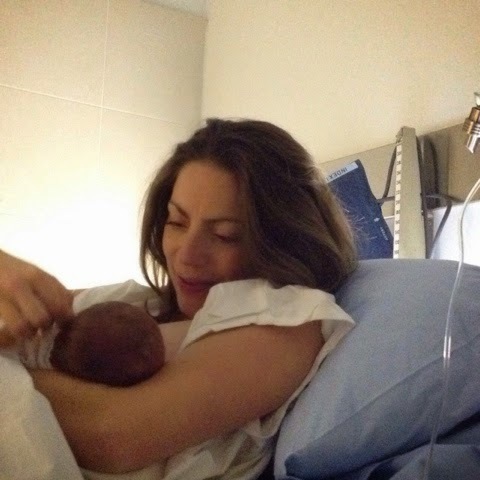 I had an uncomplicated delivery and so the days that followed the birth, while in hospital I could focus all my energies on the two of us learning how to do this whole breastfeeding thing. He was quick to learn and I definitely attribute our success to baby O more than anyone else. I have since fed him exclusively. Objectively it hasn't been a walk in the park: pain at first, engorgement for more than a week (lovely midwife prescribed cabbage leaves in my bra and it worked!) and still at almost four months feeding every two hours like clockwork. But subjectively it has been lovely! I know I will probably be judged for saying this, but part of the attraction of breastfeeding, aside from all the benefits to my little one, has been the ease of it. Going out for a while? No need for bottles, powder and hot water. Just unbutton my shirt and everyone is happy. No need for sterilisers, no need for boiling parts, no running out of powder or having to try different ones to see which one is best. The ease of it is liberating. I have also found that Greece is ok with breastfeeding. It's not the political issues that it is in the UK. I have breadtfed pretty much everywhere I have needed to, including the start line of my last race this weekend. I have received sideways looks at times, and definitely some double takes. But no one has ever asked me to refrain from feeding my son and I'm pleased with that. Imagine, then my surprise, when a fellow mum came and commented, albeit positively, on my choice to breastfeed my son. When I was pregnant people kept asking me whether I would bf or ff. I always answered that I would try to bf but failing that I knew that formula was not rat poison. I got a few laughs, most uncomfortable and many blank stares. I know now- 4 months into bf my boy, that I am so extremely lucky to be here. Bf has added a lot to my experience of motherhood and I am grateful to have been able to experience it. However, just like with pregnancy and birth I am acutely aware that it's a fluke, in many ways. No more value judgement, please. Let's just enjoy the fact that we can even have the bf vs ff discussion. Many women, my past self included, would give anything to be here!